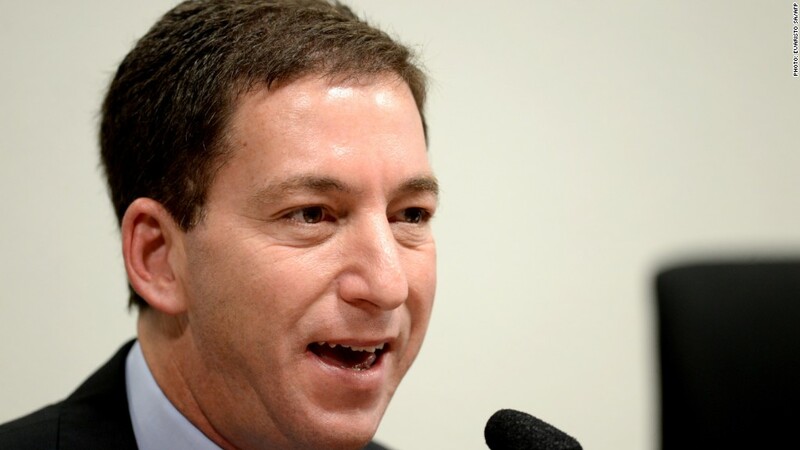 Much of Glenn Greenwald's reporting on NSA programs was published by The Guardian. Now, he's starting a new site. Click the photo to see his interview with Brian Stelter. Glenn Greenwald, the reporter who broke news of U.S. government surveillance in The Guardian newspaper last year, launched an independent news site Monday with what it said were new revelations. The site, called The Intercept, debuted with stories about U.S. drone strikes and a series of photos of American surveillance operations. Greenwald and other investigative journalists launched the site with First Look Media, a venture funded by eBay (EBAY) founder Pierre Omidyar. Omidyar wrote in a blog post on Thursday that "the site's staff has already uncovered a host of new and disturbing revelations in the NSA documents." In an interview on CNN's "Reliable Sources" on Sunday, Greenwald dropped hints that he and his colleagues have come into contact with sources besides Edward Snowden, the former National Security Agency contractor who provided classified documents detailing secret surveillance programs last year. "I definitely think it's fair to say that there are people who have been inspired by Edward Snowden's courage and by the great good and virtue that it has achieved," Greenwald said Sunday morning. "I have no doubt there will be other sources inside the government who see extreme wrongdoing who are inspired by Edward Snowden," he continued. Greenwald declined to comment further, however, because his new Web site is not online yet and because his forthcoming stories are still being edited. Additional NSA sources would open up a new front in Greenwald's aggressive coverage of mass surveillance issues. Both Greenwald and his original source, Snowden, have been praised as heroes and derided as traitors by different politicians and members of the public. Neither is currently in the U.S.; Snowden has sought asylum in Russia and Greenwald has stayed in Brazil. But Greenwald said he intends to come to the United States this spring, despite his concerns that U.S. officials may try to prosecute him for his role in the Snowden document release. While Greenwald's profile has increased with his reporting on the NSA programs, he said the new venture with Omidyar presents opportunities to return to other topics he has written about in the past, including civil liberties and inequality. The name of the new Web site has not been announced. It could launch as early as Monday. Omidyar said in his blog post that it will be the first in a "family of new digital magazines." Along with Greenwald, the first site will be led by journalists Laura Poitras and Jeremy Scahill. "First Look is still in the midst of building our team and refining our larger editorial vision and strategy," Omidyar wrote. "Later this year, we will launch more digital magazines, along with a flagship site."